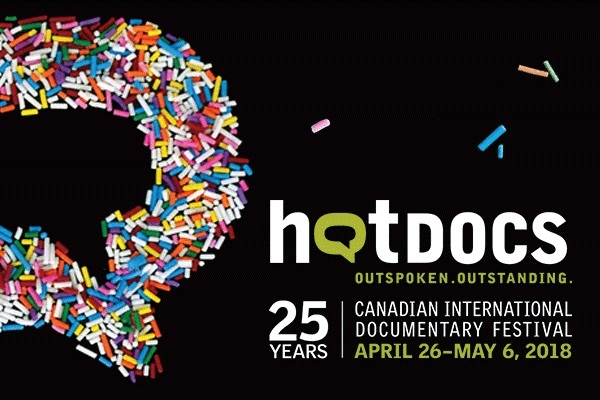 A Polish Prince in Italy, the home videos of the famed artist Zdzislaw Beksinski and a Russian Rhythmic Gymnast’s quest for Olympic Gold– these are just a few of the Polish documentaries to choose from at this year’s Hot Docs, the biggest documentary film festival in North America. This year’s fest is runs from April 26 to May 6 at 14 venues around Toronto. Once again Ekran is proud to be a co-presenter with the fest with a special screening of the full length documentary Hugo. Hugo is director Wojtech Klimala’s heart felt story about Zdzislaw Misiak aka Dzidek, “the retired king of amusement parks” and his struggle to keep his 7 year old grandson Hugo in his care after his daughter’s death. The story becomes a custody battle between Dzidek and “the System” as Dzidek fights to live with his grandson on their own terms despite what they are told is socially acceptable when caring for a child. Truly a touching tale that will leave the audience thinking about the meaning of family, connection and what exactly is conventionality when bringing up a child. Leocadia’s Dream from director Krzysztof Nowicki tells the tale of an aging shop keeper in Barcelona closing her vinyl record shop after 80 years. Over the Limit by director Marta Prus takes a look at Russian rhythmic gymnast Margarita Mamun as she vies for Olympic Gold, the last major accomplishment she plans to make before she retires the sport for good. The Prince and the Dybbuk by directors Elwira Niewiera and Piotr Rosolowski is a cinematic journey following Poland’s most mysterious filmmaker, Prince Michal Waszynski, a film producer and director who made more than 40 movies and worked with stars including Sophia Loren, Claudia Cardinale and Orson Welles. This fascinating documentary uncovers the mystery of the Waszynski’s life and won Best Documentary at the Venice Film Festival in 2017. The Beksinskis. A Sound and Picture Album, the title says it all. Director Marcin Borchardt uses actual archival and personal footage from the famed “dystopian surrealist” painter Zdzisław Beksiński. The film takes a look at Beksiński complicated relationship with his family, especially that of the relationship he had with his son Tomasz Beksiński. If you were a fan of Jan P. Matuszyński’s film The Last Family (which won best picture at Ekran 2016) then this is definitely a compliment to that picture. The screenplay is based on Magdalena Grzebałkowska’s best-selling biography ”The Beksińskis. A Double Portrait” (2014).